"Ready or not. Here. We. Dance." You probably remember exactly where you were the first time you saw it. It was Halloween season 2016, and viewers of SNL got introduced to a new character. One of instantly legendary status. You know the name, David S. Pumpkins. Of course, David S. Pumpkins was only a piece of the equation of the 100 Floors of Frights Haunted Elevator. And the skeletons are? "Part of it!" That's right, David Pumpkins wouldn't dare head out solo without a couple of b-boy skeletons at his side, and while we still have several questions, we're sure things just wouldn't be quite right without some dancing skeletons. So here's your chance to make yourself a part of Saturday Night Live History. Because we hear there's a David S. Pumpkins in your neighborhood, and he's ready to recruit some new beat boys. 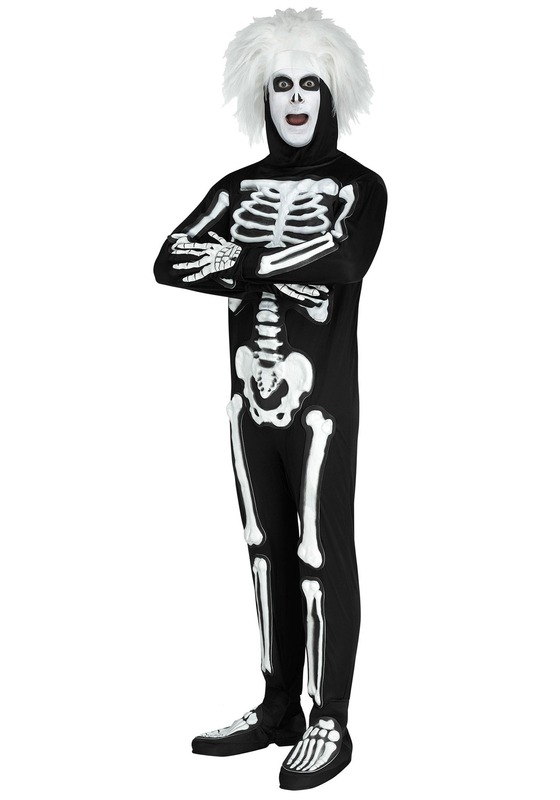 SNL officially licensed, this costume comes in the skeleton style that was featured in the now-famous sketch. 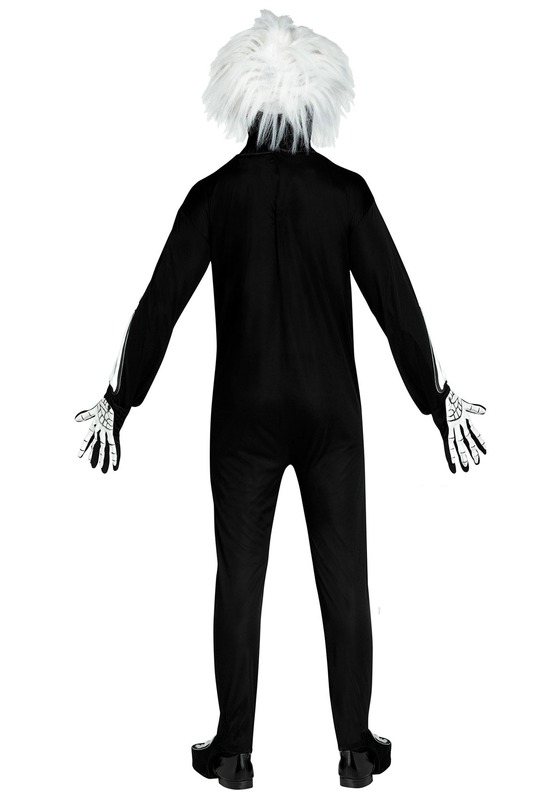 The jumpsuit and headpiece wig are included, along with gloves and shoe covers. But you will have to add the makeup separately to get the facepaint style just right as worn by Skeleton Beat Boys Bobby Moynihan and Mikey Day. The David S. Pumpkins and Beat Boy group theme will probably be the top costume trio for, oh, at least the next decade. And we're sure you'll have a great time teaming up with your buds to do the routine. Just practice some dance moves, and make sure you all know your lines. Any questions! ?